Health and human development have been priority areas for Commonwealth governments since 1965, when Ministers first met in Edinburgh for the inaugural Commonwealth Health Ministers Meeting (CHMM) and Commonwealth Medical Conference. As member countries share remarkably similar public administrations and services, intra-Commonwealth collaboration is commonplace. 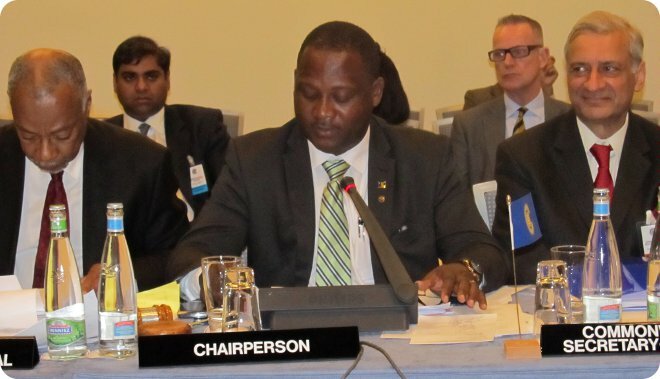 On the 18 May 2014 ministers and senior officials from the 53 member countries of the Commonwealth convened in Geneva, Switzerland, for the 26th Commonwealth Health Ministers Meeting. The theme was ‘Commonwealth Post-2015 Health Agenda: Strengthening Health Policies and Systems’. Focus was made on discussing the post-2015 Commonwealth health development agenda, and debating best practice in a variety of modern healthcare concerns. It enabled ministers to gain valuable perspectives from across the Commonwealth before they join non-Commonwealth counterparts at the World Health Assembly. CHMM was preceded by a Partners’ Forum at which development, private sector and civil society partners will draft policy and other recommendations for ministers. The conference saw the launch of the official publication Commonwealth Health Partnerships.